Last year we received this steel trail hardtail from Pace Cycles and put it into the hands of our local hardtail connoisseur, David Hayward. Pace is an incredibly storied brand, and just like me it has history stretching back into the 1980’s. Unlike Pace though, I wasn’t talked about excitedly by kids in the playground claiming my bits were nearly indestructible. That’s how good Pace’s reputation was at the time though: even children had heard of the name. 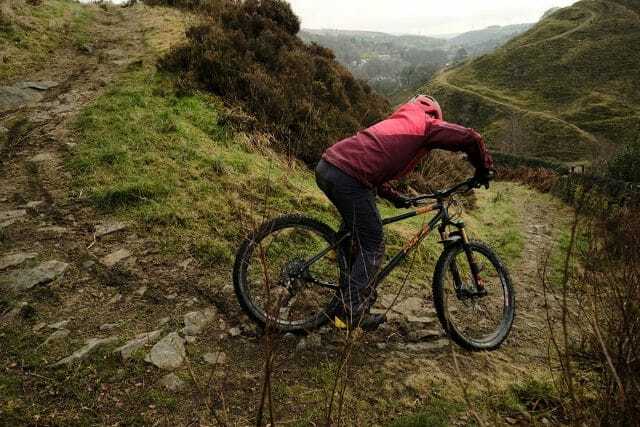 Fast forward some decades, and following a period of quiet and calm, Pace looks to have been reignited things with the arrival of three new steel frames: the RC127 (reviewed by us in 2015), the RC127+ and the RC129. The crew at Pace sent us this RC127+ frame early last year, and Madison built it up with the Shimano Deore XT Di2 2×11 drivetrain I recently reviewed, a set of custom DT Swiss wheels, a PRO cockpit, and a Fox 34 fork. 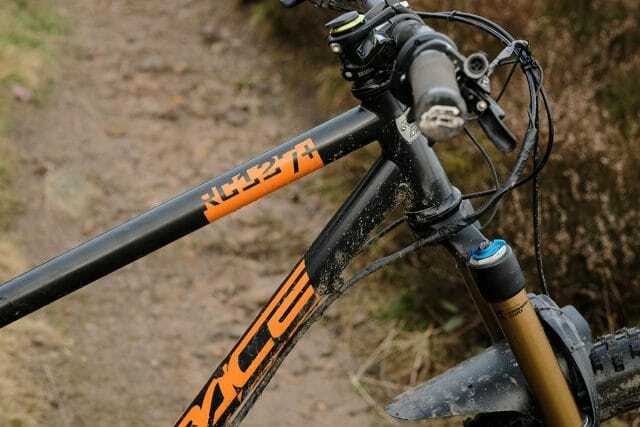 The RC127+ from quintessential UK mountain bike brand, Pace Cycles. On paper, since many competitors are still a little steeper, the 65° head angle of the RC127+ makes this look like a very progressive hardtail. That is, until you hit the reach and stack. The 418mm reach on the medium-sized RC127+ is short compared to many other contemporary hardtail frames, and the 645mm stack is comparably high too. For a company that claims to have pioneered long top tubes and short stems, these numbers seem a little odd; I ended up running a 70mm stem along with pushing the seat right back before I felt comfortable. The standover on the medium is also high enough that I suspect if I’d sized up to a large, I’d have trouble fitting the dropper in. The numbers are not a showstopper by any means, but be aware of this. Pace use a proper tapered head tube on the RC127+ frame. 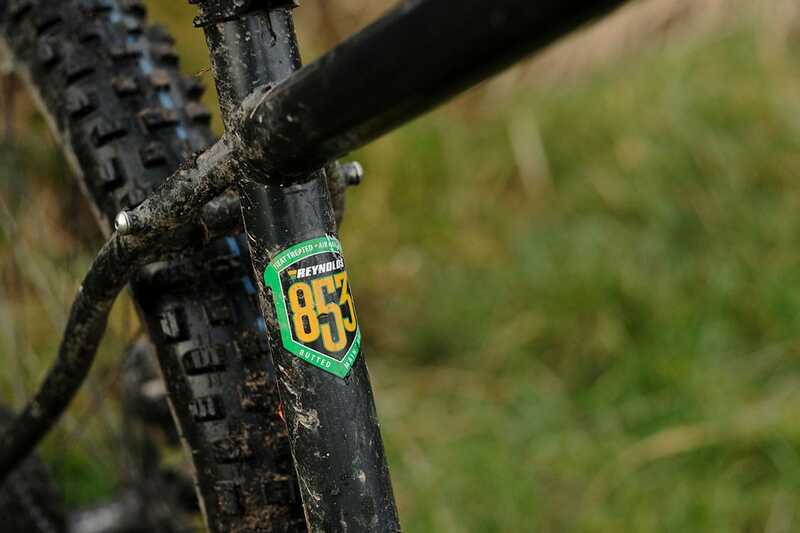 Quality Reynolds 853 steel tubing delivers a springy ride. The chainstays are adjustable by 13mm if you want to make it nippier or more stable (or to tension the chain in singlespeed mode), and cables are externally routed save for a stealth dropper port in the seat tube. The design though is a classic diamond shaped frame, with a relatively high standover compared to others that seem to be designed for towering droppers. An oversized BMX this ain’t. Adventurous type? The frame is rack-ready. Aside from the stealth dropper port, the frame keeps it old-school with a threaded BB, front mech compatibility and external gear and brake routing. 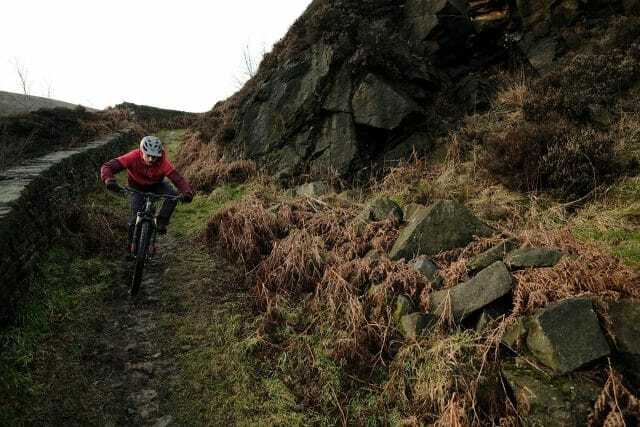 This Pace is a frame with some traditional features, some modern ones, and able to take current components instead of having you scouring classified ads for a straight steerer fork. On that subject, this frame has a flared head tube rather than a 44mm one. Some steel framebuilders eschew tapered head tubes, claiming they look weird next to skinny steel tubing, but Pace have made it look gracious and understated. It might give you fewer overall headset and fork options compared to a 44mm head tube, but thankfully tapered steerers have decidedly become the dominant standard and you definitely won’t be short of choice. 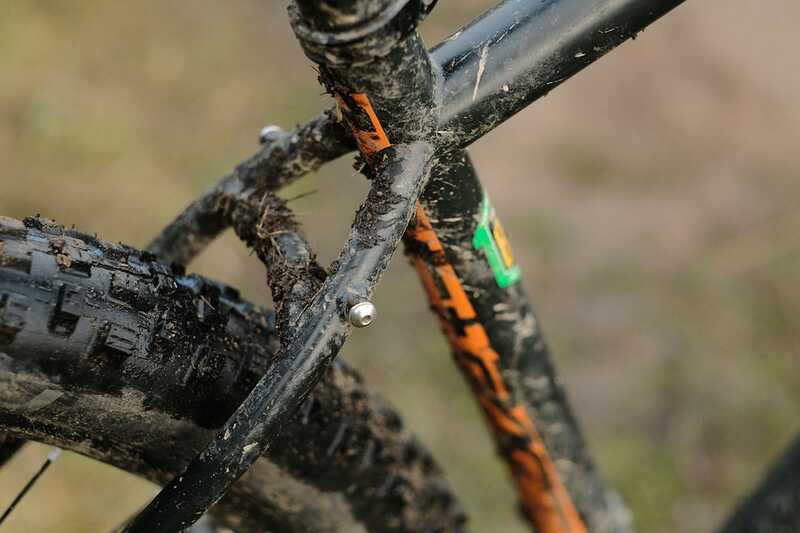 Slideouts provide adjustable chainstay length. The RC127+ has served as a test bed for various parts, including a Shimano Di2 drivetrain that’s been put through absolute hell. Since this isn’t a standard build, I’ll be brief on the rest of it. Hung off the RC127+ frame is a 27.5+ Fox 34 fork, a Shimano XT Di2 drivetrain, a Pro Components Koryak dropper, XT brakes, and wide DT Swiss rims laced onto Shimano XT hubs. The Koryak dropper felt a bit conservative at just 120mm of drop, but the standover on the frame is such that it was probably the right call – there was a bit of extra room for seatpost, but possibly not enough for a 150mm dropper to fit my inner leg. The Fox 34 is an extremely wide fork, giving absolutely massive tyre clearance that’ll fit any 27.5+ tyre. 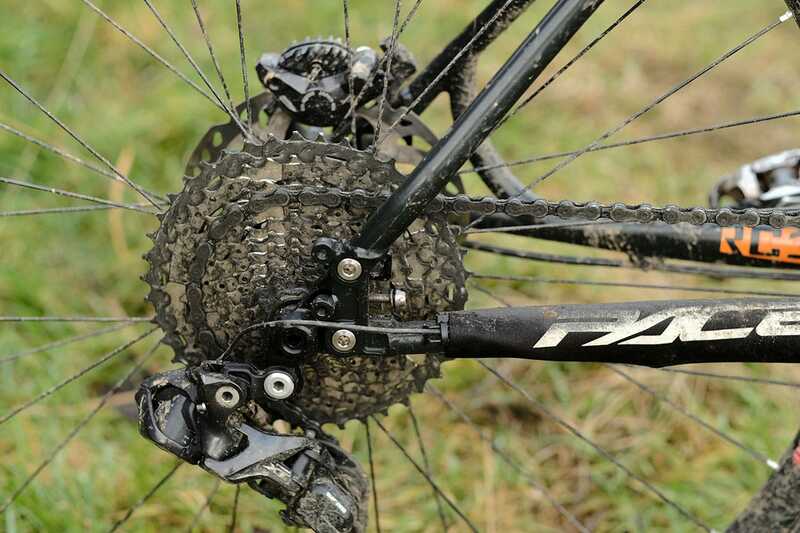 XT Di2 gave me some initial setup problems (covered in the separate review of that), but that’s nothing to do with Pace so it’d be unfair to elaborate here. PRO Koryak dropper post is still performing admirably. 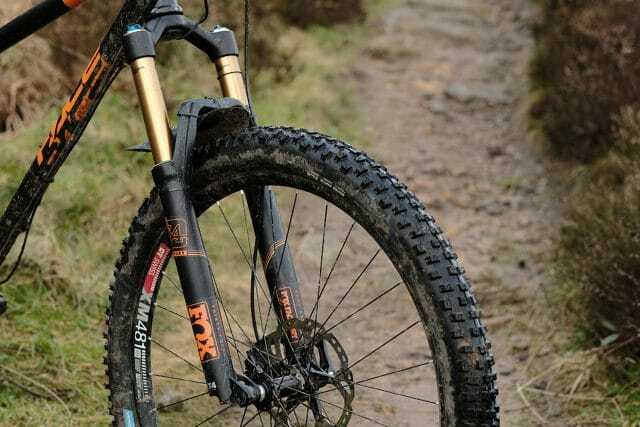 The Fox 34 Float 27.5+ fork is an excellent performer. One problem at the start of this test though was the tyres, which I’m pleased to report by the end of this test are no longer trouble. 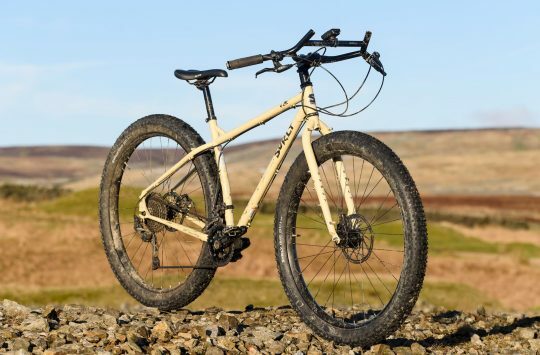 It’s a slightly unusual feature of the frame, which crucially saw it launched just a few months ahead of its time, because it’s ideally designed around 27.5×2.6in wide tyres. So there you go. Perhaps we’ll call this grey area ‘British Plus’. During the test period, Pace relaunched this frame as a 29er in the interim, which might be a coincidence rather than related to tyre supply, but the geometries of this frame and the RC129 are identical. 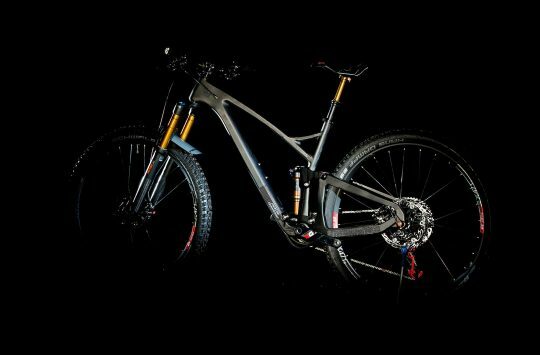 More 2.6in options are coming online now (we’ve got a group test coming online soon), but for the first few months, not even manufacturers could send Singletrack any. So, for a while I ended up riding this on (*gasp*) the Wrong Tyres. I’m going to blather about tyres for a bit, for one reason only: If you get one of these frames and intend to configure it as a plus bike, make sure to get the right tyres. Normally, if someone asks me “what tyres for…”, I answer “whatever you’ve got on the bike” – I have friends who run Ardents front and back well into the winter, and I have others who run a toothy, super tacky front year round. I’m pretty flexible over tyres, but this bike really put that to the test. Originally we got this frame in spring 2017. At the time there were no 2.6in tyres in the country, at least not available to us. We also had no spare Boost 29er wheelsets, so we just ended up running it with the wrong tyres. It was handed to me with a 27.5×2.5in Wide Trail Maxxis Shorty on the back, which in case it escapes you is not quite a plus tyre, and a rather smooth looking 3.0in tyre on the front which I won’t name out of courtesy to a brand who’ve actually been really kind to us recently, but if you knock one letter off the name you end up with the emotion “anger”. There’s tonnes of clearance up front. 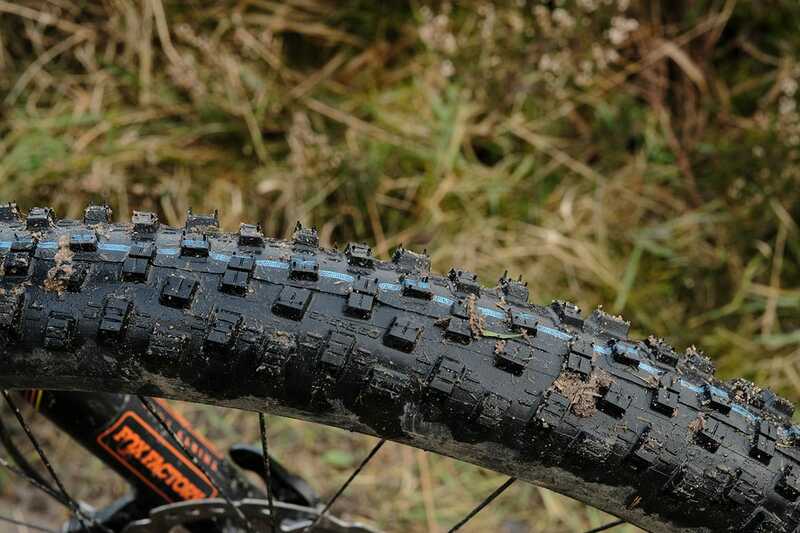 This one particular tyre is desperately unsuited to most UK conditions, and the fact I see so many on plus bikes in such a wet and muddy country can, I assume, only be a conspiracy perpetrated by emergency dentists (the brand do some great tyres too!). Out of curiosity I took it on one ride with this combo and it was, to say the least, as interesting as I expected. It climbed pretty well, but felt like the tyres were going to kill me on muddy descents (one interesting thing about this combo was it didn’t slacken the seat tube angle enough to make climbs uncomfortable). I then tried the 3.0in tyre on the back and a 2.8 WTB Trail Boss on the front. This was better, but when Pace say 2.8in maximum they aren’t kidding: wheel dish had to be perfect and there was almost no mud clearance. I then rode it on standard 650b tyres, and I struck pedals on everything. As I said, if you’re getting one of these, find some 2.6 tyres. You might get away with others, but if you want to do that, get a standard RC127 frame instead. 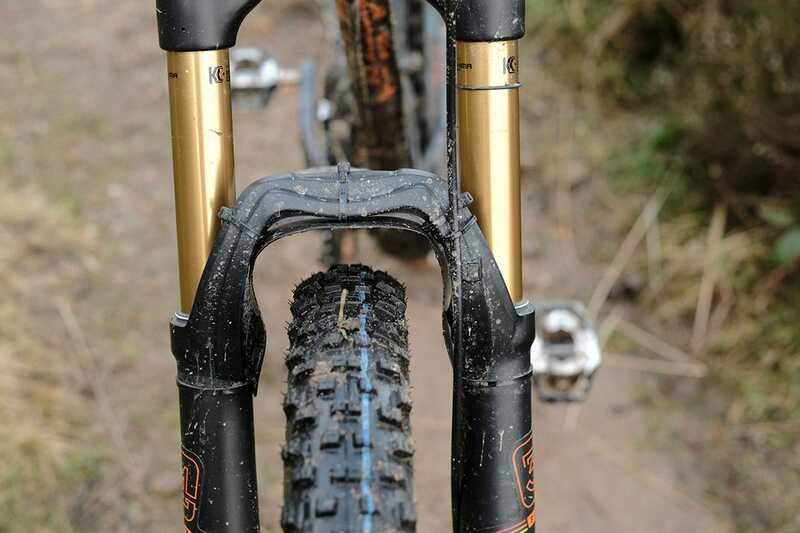 This is very much designed for the ride height of plus or 29er tyres. Equipped with the right tyres, the RC127+ is a terrific all-weather hardtail. 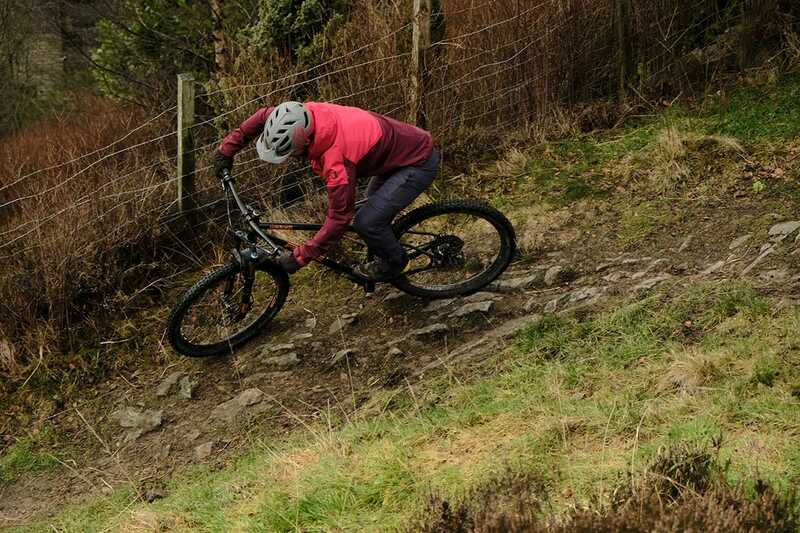 Lack of suitable tyres or 29er wheels delayed this review until I’d had a chance to take it out on the right rubber. 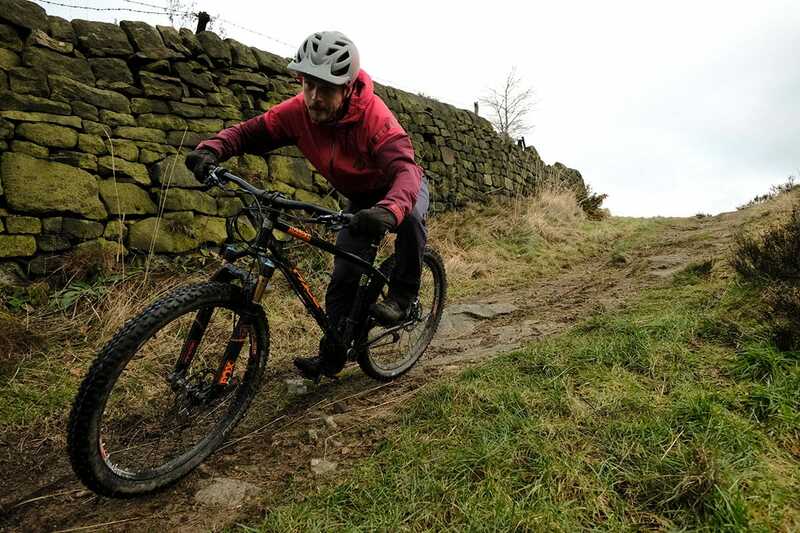 I did eventually get hold of some 27.5×2.6in Schwalbe Nobby Nic tyres, then headed for a play in the Autumn mud. During that first properly-equipped razz, it was immediately obvious how much happier the RC127+ was rolling on them. The BB height sat naturally much better than on the standard 27.5in tyres, and I struck pedals much, much less (and every time out of carelessness, natch). 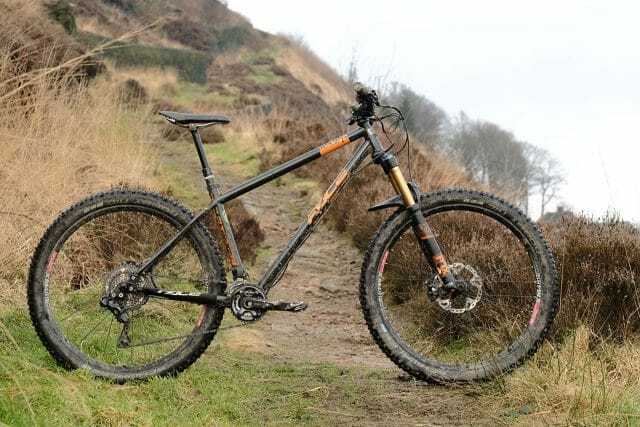 My experience of plus tyres in general is that they trade some precision for comfort, which is no bad thing on a hardtail, especially one like this which feels like it’s aimed at recreational riders rather than racers. A hardtail feels like the place they belong, and 2.6in is a good compromise width. It won’t roll as slow as some bigger tyres, but you’re also probably not going to win your local XC race on or because of them. The short reach makes the RC127+ a joy to thread around rough, tight singletrack. This is a nice bike. I get the feeling Pace know who its audience is, and it’s not them downhill boyz. All the times I took this out, it was a certain kind of person who asked about or reacted most warmly to it: the rad dads. The people who enjoy the climbs and the descents alike. 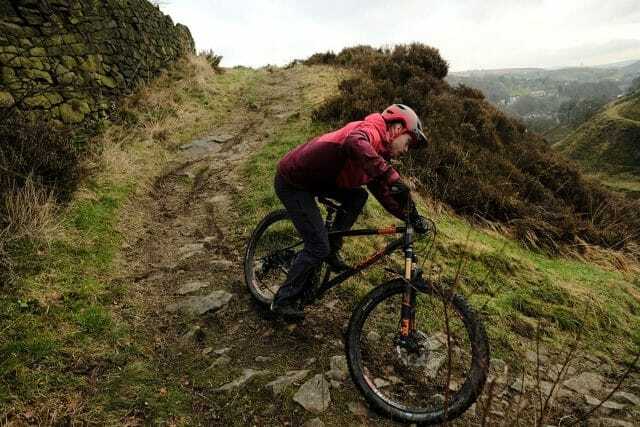 The riders who’ve given up lusting after downhill bikes and are perhaps now happy taking it a bit easier than they used to want to. That said, the 65° head angle certainly made it no slouch on the descents. Given the traditional looks, it has a surprising amount of stability once you point it downward. It also showed plenty of pep when pushing the back end into catch berms in the woods, or sessioning little features with friends. It’s no Death-Gnar Defiler, but has room for your riding to grow, and I think that speaks to who it’s for. You can get a bit rad, but ultimately it has a fairly traditional look and feel that mean you’ll never feel like you’re failing to live up to the bike, the way you might if you bought some throbbing neon missile that’s always sideways at head height in the adverts (not that there’s anything wrong with that). It’s not on the bleeding edge, but the particular mix of geometry and looks Pace have settled on for the RC127+ means this sits closer to modern hardtails while preserving some retro aesthetics. There are people out there this will suit perfectly. We ran the dropouts in the shortest position to keep cornering nippy. “Normally I avoid reading any reviews or listening to any other rider’s feedback before jumping on a test bike. I find it can potentially cloud judgement, and it’s good to start with a clean slate whenever possible. That didn’t happen with the RC127+, because I’d started to read through David’s review before I rode it. I hadn’t intended to ride it anyway, but a pressing need for a hardtail to use for some pedal testing meant that the RC127+ was the best option immediately available in the office. In the end I’m glad I did, as I’ve really enjoyed it. It’s slack 65° head angle provides plenty of descending stability. Although I knew the frame was on the shorter side, I went ahead an slapped a 40mm Gamut stem on (shown in the photos), then setup the Nobby Nic 2.6in tyres with 14psi in the front, and 16psi in the rear. The Fox 34 I ran with 65psi in the main air spring, and set the low-speed compression wide open and put the rebound halfway. The first thing that stood out to me with the RC127+ is just how comfortable it is to ride. The tall-ish front end combined with the slightly shorter reach pushes your shoulders up and reduces any untoward lower back contorting or neck-cocking just to see ahead on the trail. 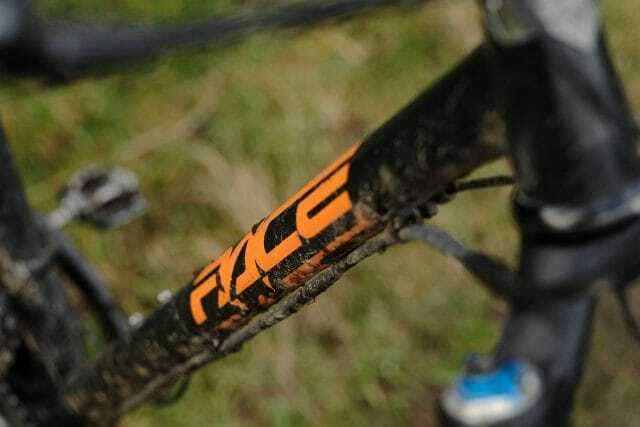 Having come off three XC race bikes from testing for Issue 116, the RC127+ felt like a luxury mattress in comparison. Wil ran a 40mm stem with the 800mm wide bars. A combination of the high volume tyres and the shapely steel tubing makes for a thoroughly supple ride quality too. Plus tyres make a load of sense on hardtails, and as David has already pointed out, I think the 2.6in tyre size is absolutely perfect for this bike. There isn’t the same vagueness in handling compared to bigger 2.8-3.0in plus tyres, but you can feel the tyres moulding around rocks, roots and hard terrain as it absorbs the terrain in the search for traction. As for handling, the RC127+ just felt…normal. The 40mm stem and riser bars have helped to quicken up the steering, so even with that 65° head angle, it feels easy to flick the front wheel from left to right. There’s a touch more concentration required on steep switchback climbs, but for traversing along and descending at speed, it all feels very neutral and easy to move around. I also found it really easy to pop up the front wheel, even though I’m not that sort of rider, and with the rear wheel set in its shortest position, the RC127+ feels agile and responsive. Sure, it could follow current fashion and be made longer, but I like how nimble and playful it feels – especially on more natural terrain. 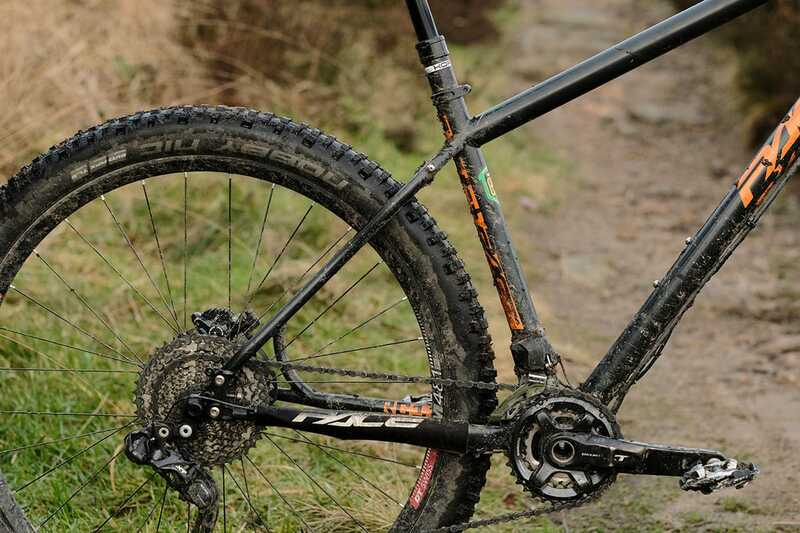 This isn’t a race bike for XC or enduro – it’s just a really fun mountain bike. The 65° head angle. 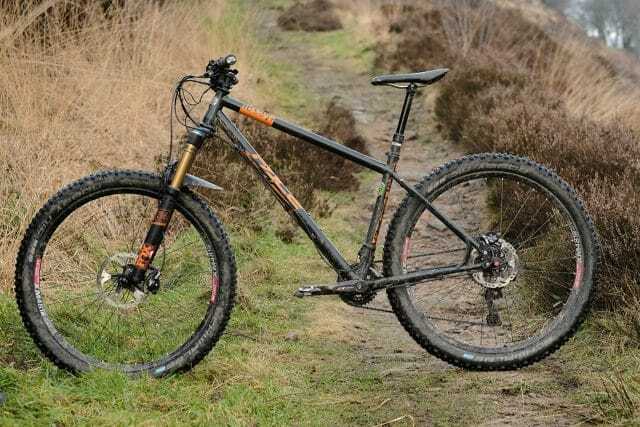 Despite the retro looks, and while it’s balanced enough I wouldn’t describe it as a descender’s hardtail, the RC127+ felt planted and confident going down. 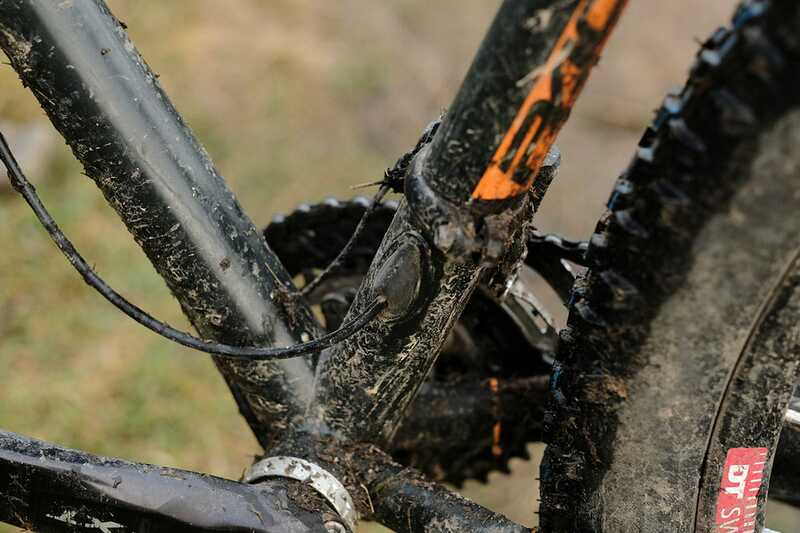 External cable routing – it’s simple and it works. The main effect of external cables is to move my “I’ll do it later” or “I’ll just ride that other bike instead” thresholds, making me far more inclined to do brake and shifting maintenance. 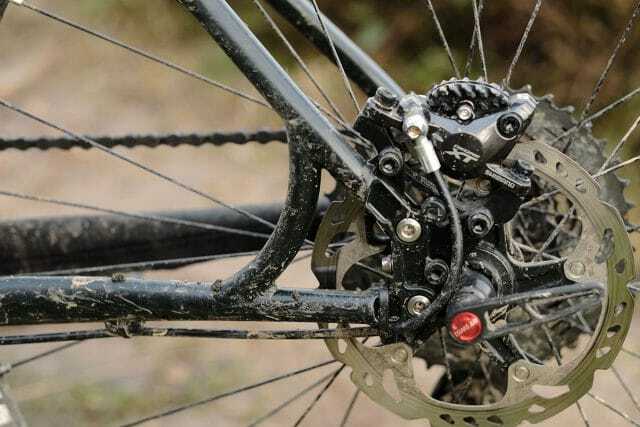 The adjustable chainstays. Most brands have spent a long time fleeing toward the shortest stays possible, with only a few opting for longer ones to increase stability at speed. It’s great to have the option of both on this. External cable routing is a big tick in our book. Standover. 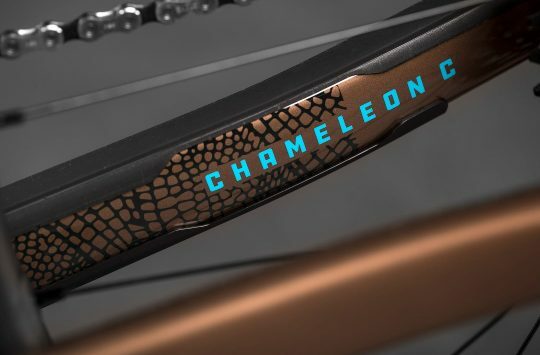 Pace definitely isn’t following the herd when it comes to frame design. The top tube height wasn’t a problem when it came to riding, but there are many longer dropper post options that I wouldn’t be able to fit in this frame. The decals on top of the clear coat. Pace states this is an intentional choice so people can change the decals later if they want to. The decals are high quality ones and certainly not looking tatty at the end of the test, but a couple of the pointier tips have peeled slightly. The short reach compared to other frames and manufacturers. Going by Pace’s sizing, I picked the right frame but ended up running a 70mm stem to get the right riding position. 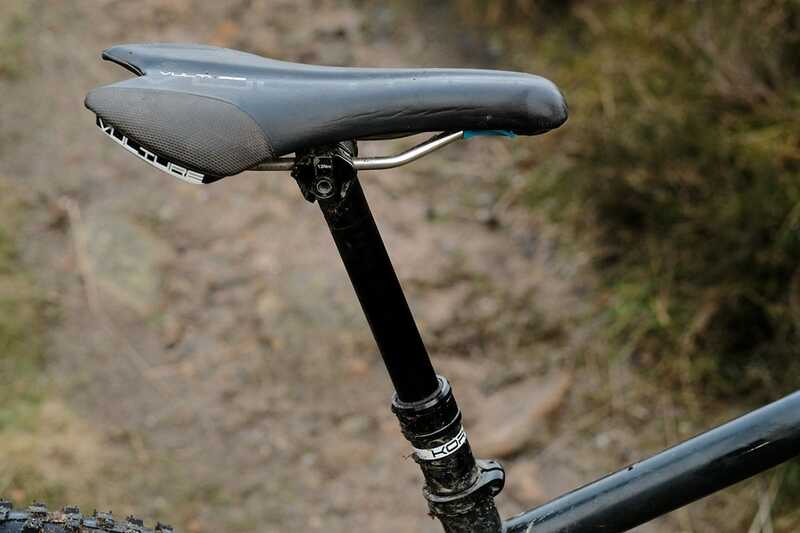 A shorter seat tube would allow for a longer stroke dropper post. The Pace RC127+ frame is well made, and combined with the new-school 2.6in tyre width, it offers a smooth and capable ride out of the traditional double-diamond hardtail platform. Sure, if you’re looking for a radcoremobile sent from the future, this isn’t going to tick your box. But if you get annoyed at everything constantly getting longerer, lowerer and slackerer though, this is a nicely balanced, slightly retro-styled hardtail that might be just the machine for you. Note: Pace has since confirmed that an X-Large frame size is coming in spring of ’18. The RC127+ offers a nice blend between ‘contemporary’ and ‘time-proven’. Award Winning Soho Bikes To Close, Sale Starts Now! @bullt – the front derailleur we’ve got on there is a high mount. Surprised to read this: “and a rather smooth looking 3.0in tyre on the front *which I won’t name out of courtesy to a brand who’ve actually been really kind to us recently* but if you knock one letter off the name you end up with the emotion “anger”. Does a brand being kind to you mean they get let off when they have a sh*tty product? @singletrackmatt When replacing one, the wisdom from other kids and my LBS in the early/mid 90’s was “get a Pace chainring”. I never did manage to wear it out! @dang100 If we’re specifically reviewing that product, no. Pace don’t ship this bike with that tyre though. As I’ve discussed with plenty of people too, there may be bike products unsuited to particular conditions and climates, there may also be bikes not that well specced for the countries they’re being shipped to, but not that many bike products are genuinely in and of themselves “bad” nowadays. FFS, is it a yay or nay. Reading reviews like this does not make things easier. Based on your last line, you’ll likely dig this RC127+, which is a terrific steel trail hardtail that is steady and comfortable to ride. 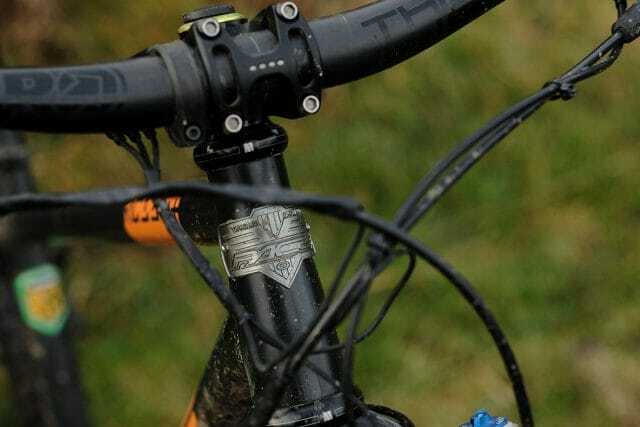 It’s not as uber-long as Pace’s newer 627 hardtail (https://singletrackworld.com/2018/09/2019-pace-rc627-pushes-the-geometry-envelope-with-huge-updates/), but depending on your riding style and terrain, that may be preferable. Let me know if you have any specific questions about this bike though, and we’ll do our best to answer them for you!